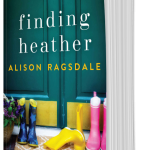 "Finding Heather is a beautifully inspiring, and heartfelt tale of the healing powers of love, and the importance of family, and home." “Beautifully written & heartwarming. Makes me want to find this small town in Scotland." A proud Scots lass, I was born in Edinburgh and that strong connection to my homeland has never left me. Consequently, my novels are set in the stunning Highlands and islands of Scotland. I’ve tried to capture the essence of Scotland, the breathtaking scenery and the strength, humor and heart of the people. 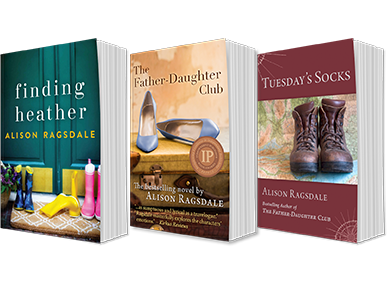 My books are emotionally charged novels about family, love, loss, hope and self discovery. Originally from Edinburgh, I am a former professional dancer and marketing executive. Having spent over two decades as a nomad, living in eight countries, I’ve now settled near Washington D.C. with my lovely husband and dog. I was educated in England and hold an MBA from the University of Leicester. 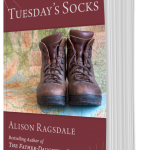 My first two novels, TUESDAY’S SOCKS and THE FATHER-DAUGHTER CLUB are both Amazon best sellers. 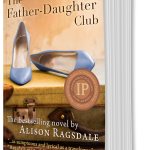 THE FATHER-DAUGHTER CLUB also won the 2016 IPPY Bronze medal in the Best Regional Fiction – Europe category. FINDING HEATHER is my third best selling novel that was released in October, 2016. 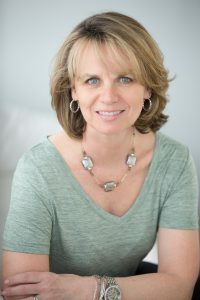 My fourth book, A LIFE UNEXPECTED, also an Amazon best seller, won a 2018 IPPY Bronze medal in the Popular Fiction category. The Highlanders club is a VIP group of readers and reviewers — the first to receive insider info on giveaways, signing events, and exclusive previews of new releases. Getting together for a book club with one of my novels? Why not invite me to join you via Skype. Drop me an email if you are interested and we will see if we can arrange something.